Post was updated on 03/03/2019. Information has been added regarding the planned start of the PSTA/FDOT shoulder-running pilot project on I-275. 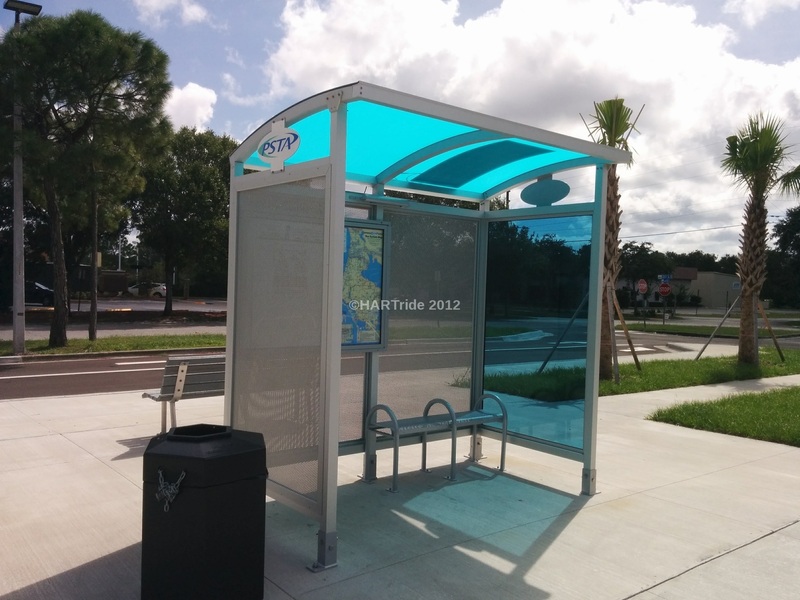 The last time I wrote a post on my experiences on Pinellas Suncoast Transit Authority (PSTA) Routes 100X & 300X was way back in 2012. Lots have changed since that time – including me moving over to Pinellas County & PSTA changing the routing and schedules for both routes. In this post, I will provide an update on where these routes are now and where we’re heading. Ever since it was established, the 100X has always traveled between Downtown Tampa & Gateway Mall in St. Petersburg. Originally, the route was operated by Hillsborough Area Regional Transit (HART), but was handed over to PSTA in 1990. Frequency has greatly varied over the years, with departures ranging between 30 minute peak headways and 60 minute off-peak headways, with limited midday service. However, the biggest limitation of the 100X is that current funding levels do not allow it to run on weekends – creating a large void for those who want to cross into Hillsborough County and vice versa all week long. PSTA Route 100X map. Select the image to view the current schedule. While the map can look a bit intimidating, one thing to note is that only certain marked stops are served. In some areas, the bus will serve nearly all localized stops, while in other areas, buses will only serve selected intersections. It is important to know which stops serve the 100X so that you can properly catch the bus. You’ll be able to spot a 100X stop by the two above indicators: GREEN – the 100X label on the standard PSTA bus stop & RED: a special designation sign indicating that the 100X bus stop here. A vast majority of designated PSTA stops along portions of 1st Ave N & 1st Ave S are served, as well as selected stops along other downtown corridors. Buses use I-275 & I-375 to traverse between 54th Ave N & Downtown St. Pete. Please note that there are currently no stops along 54th Ave N.
Buses travel northbound only on 4th St N between 54th Ave N & 77th Ave N & southbound only on MLK St N between 77th Ave N & 54th Ave N. Only selected stops at selected intersections are served. Gateway Mall Transfer Center: Connections are available to Routes 4, 9, 16, 58, 74, & 75. From the Gateway Mall Transfer Center stop to Gandy Blvd via MLK St N, 83rd Ave N, & 4th St N, almost all designated PSTA stops are served. 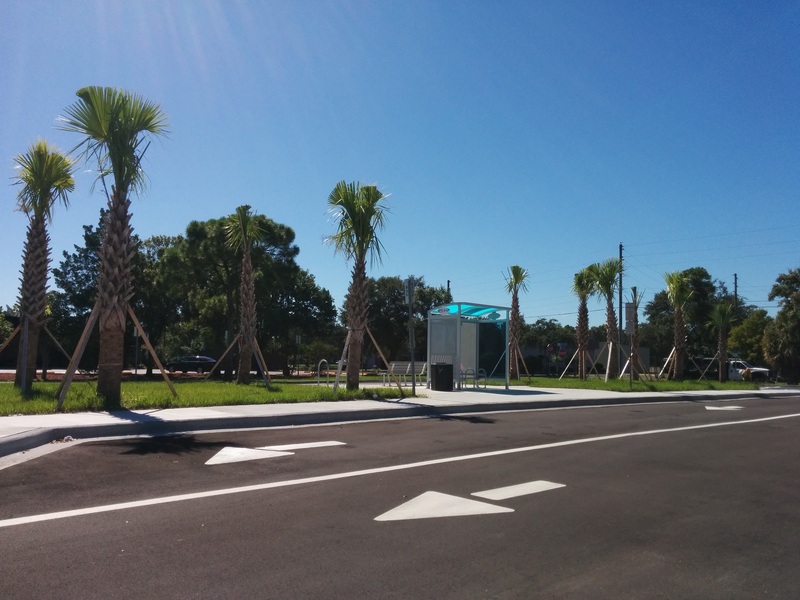 On Gandy Blvd, all designated PSTA stops are served, but stops are limited along the corridor approaching the Gandy Bridge. Once in Hillsborough County, buses traverse Gandy Blvd from the bridge to Dale Mabry Hwy with localized stops available. Customers can connect with HART Route 17 at Manhattan Ave. Buses then travel on Dale Mabry Hwy between Gandy and the Britton Plaza Transfer Center, with localized stops available. Customers can connect with HART Route 360LX anywhere along the corridor. HART Britton Plaza Transfer Center: Connections are available to HART Routes 17, 19, 36, 360LX, & the South Tampa Flex route. After leaving Britton Plaza, buses go non-stop again, but via the Selmon Expressway, to travel to Downtown Tampa. Those wishing to access points along Dale Mabry Hwy between Britton Plaza & Bay to Bay Blvd, or Bay to Bay Blvd between Dale Mabry Hwy & MacDill Ave will need to use HART Route 360LX instead. Once in Downtown Tampa, buses serve all stops along the Marion St Transitway & terminate at the HART Marion Transit Center North Platform. Customers can connect to either PSTA Route 300X, or a variety of HART services – including MetroRapid. Connections with MegaBus & RedCoach services are also available at the North Platform. 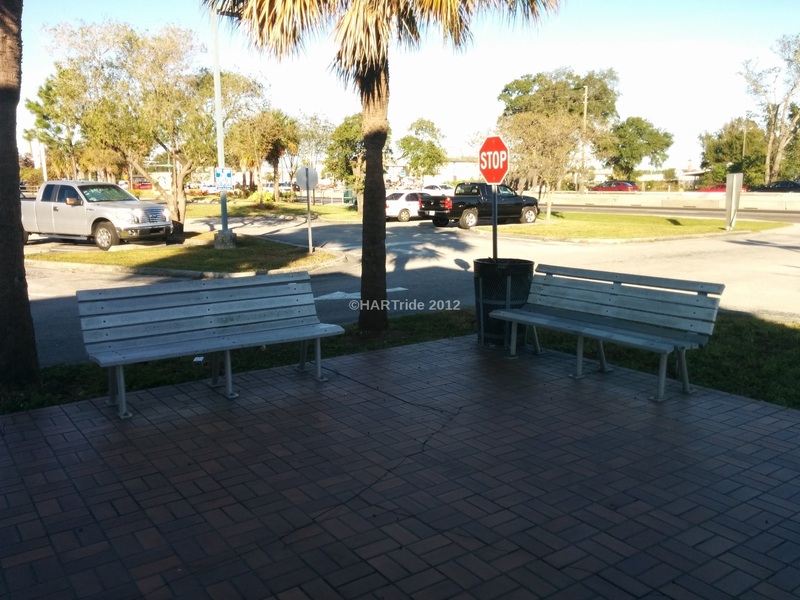 Please visit www.gohart.org for a current listing of connections at the Marion Transit Center, as routes & boarding locations can change. Route 300X was established in 2003 to allow customers in central Pinellas direct limited-stop access to Downtown Tampa. 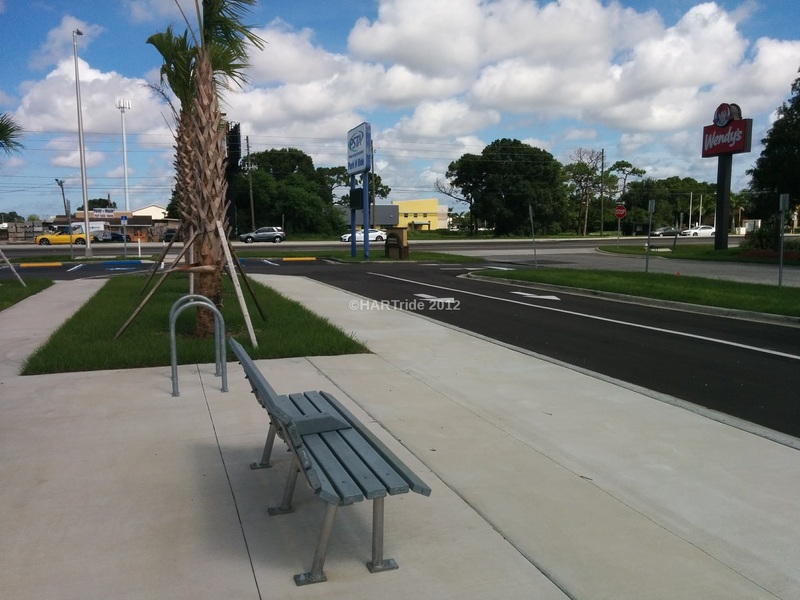 A Park-N-Ride lot (originally a KFC) is situated near the corner of Ulmerton Rd & Starkey Rd for customers who wish to leave their vehicles instead of crossing the Howard Frankland Bridge. Customers from Routes 59 & 73 are also able to easily access the facility. In 2016, the lot received a much-needed facelift that included lot resurfacing, bus lane redesign, a new green space, & shelters. 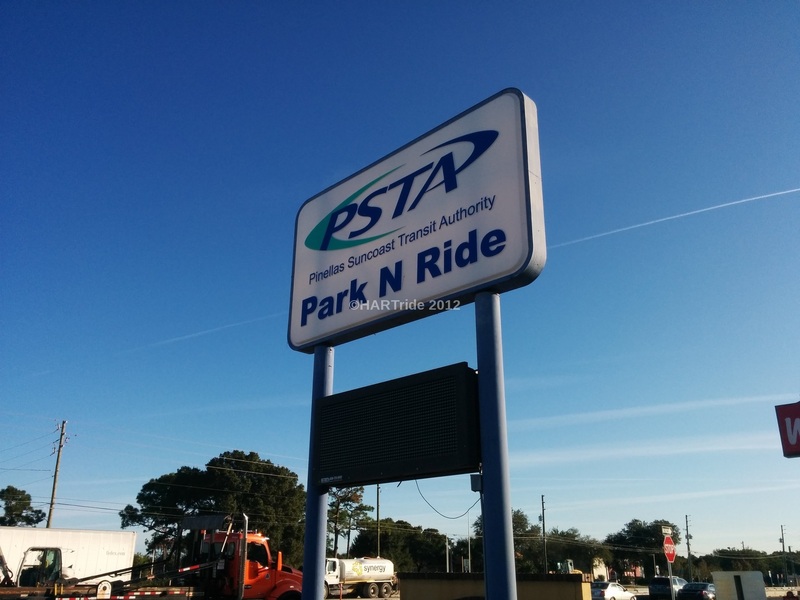 The PSTA Park-N-Ride sign on Ulmerton Rd. The original parking lot layout. 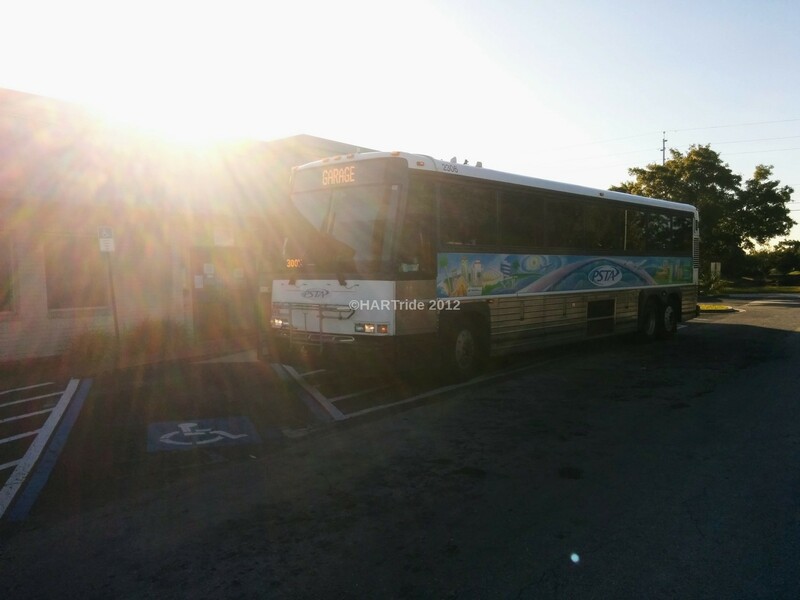 # 2306 (2003 MCI D4000) at the lot in preparation for it’s AM run. The former KFC building has since been demolished & the bus itself has since been retired. PSTA was not able to find a meaningful long-term use for the building. Refreshed lot with green space taking over where the former KFC building once stood. Additional bus lanes were also constructed in the event that additional funding avenues allow for additional express bus services to originate from the facility. New PSTA bus shelter. Have you seen these at your stop? Looking towards the north. Notice how additional stop pads and bus lanes were added to handle future expansion of the express bus network. Like the 100X, overall frequency on the 300X has varied since its 2003 launch, with initial frequency being every 30 minutes during peak hours & limited midday service. Over time, peak frequency has been cut back to every hour due to ridership pattern changes & funding constraints. Also like the 100X, there is also no weekend service. However, unlike the 100X, the 300X has always had limited stops throughout its entire journey (see the route map below). In 2018, PSTA restructured & re-branded the 300X to serve Tampa International Airport’s public bus hub, located adjacent to its rental car center. This allows customers to leave their vehicles at home or park conveniently at the Ulmerton Park-N-Ride lot & catch a bus to the airport. To address rider concerns about connecting between the lot & Downtown Tampa (including HART’s Marion Transit Center) directly, one AM trip & one PM trip skips the airport. As a result of the restructuring, the 300X is now referred to as the “Airport Express” & buses # 16101, 16103, & 16106 (all 2016 40-foot Gillig Low Floor hybrids) have sported special wrapping for the service. Additionally, some seating on these buses have been removed to accommodate luggage racks. PSTA Route 300X map. Notice the limited number of designated stops? Select the image to view the current schedule. Route 300X secondary stop marker sign. # 16101 on layover at the HART Marion Transit Center, sporting the new 300X wrap. # 16101 at the TPA Airport Bus Hub. Interior of # 16101 with the on-board luggage rack on the right. Unless PSTA is able to locate additional funding avenues, such as the passage of a county-wide sales tax referendum, don’t expect too much to change with either express route. However, the Florida Department of Transportation (FDOT) is currently working with PSTA on two projects that will affect the 100X. The first is a shoulder-running pilot by which when congestion on I-275 becomes bad, buses will be allowed to run along a hardened outer shoulder to bypass traffic. 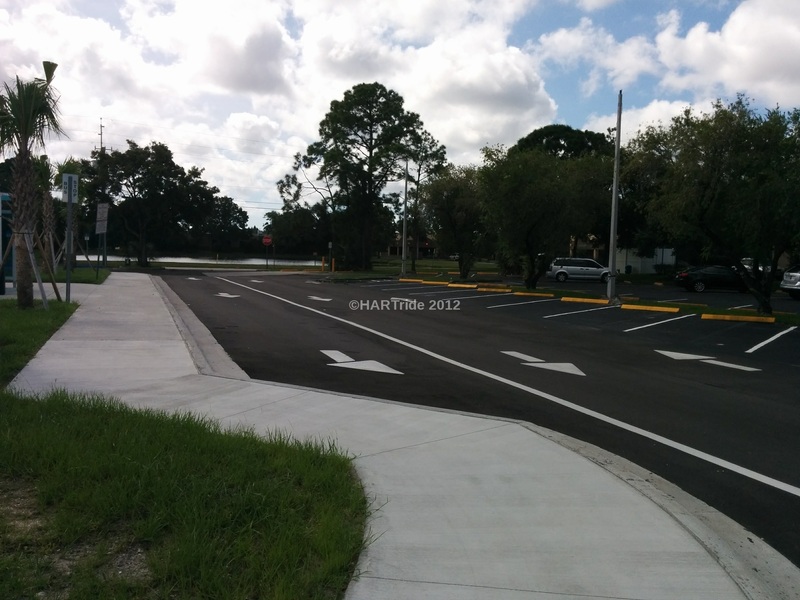 The second is the redesign and usage of an FDOT-owned lot on 22nd Ave N by the interstate that is currently used for Tampa Bay Area Regional Transit Authority (TBARTA) sponsored carpools & vanpools. 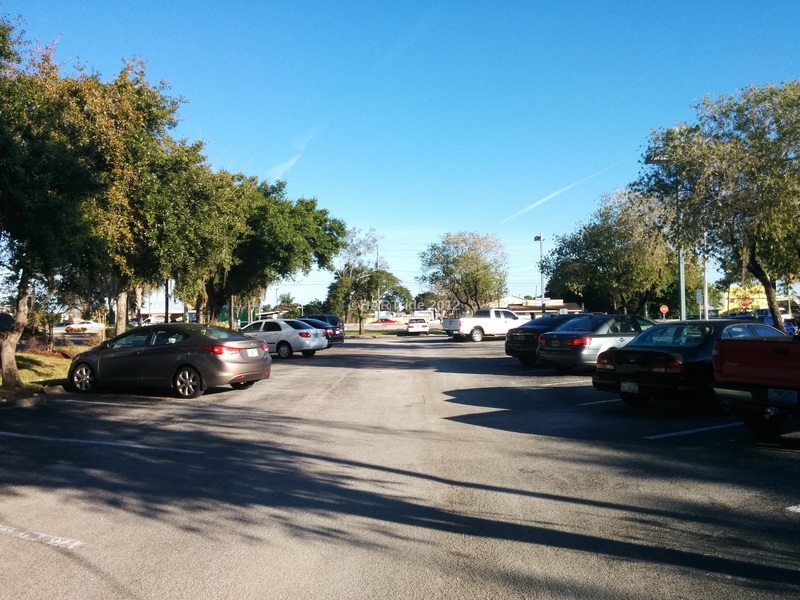 PSTA would be able to use the redesigned lot for Park-N-Ride operations for the 100X. Both projects are connected to the broader, yet controversial plan to bring variable toll lanes to I-275 and other thoroughfares throughout the region. FDOT also continues to provide funding support for both routes via its Urban Corridor Project. On February 26, 2019, FDOT announced that construction of the revised shoulders on I-275 between Gandy Blvd & 5th Ave N will begin this fall, with scheduled completion & operation in early 2020. It is not clear when the Park-N-Ride project will commence.